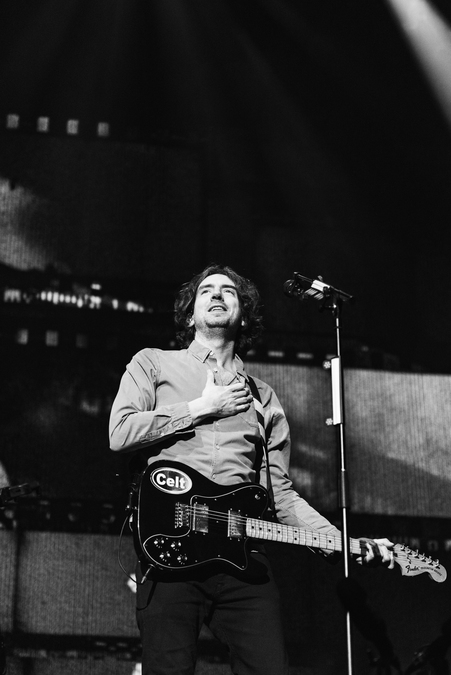 Snow Patrol frontman Gary Lightbody surveys the Hydro as his five-piece return to the city they called home for the better part of a decade. During the seven years between 2011’s exhausted Fallen Empires and last year’s out-of-the-wilderness record Wildness, Lightbody battled alcohol problems, writer’s block and depression, but the fans treat the band as if they've never been away, singing along to tracks from across the band's back catalogue. Opening with the crunchy guitar of Take Back the City and Final Straw track Chocolate – still one of their finest songwriting moments – the band seem to have settled neatly back into their roles as one of Britain’s most successful rock bands. 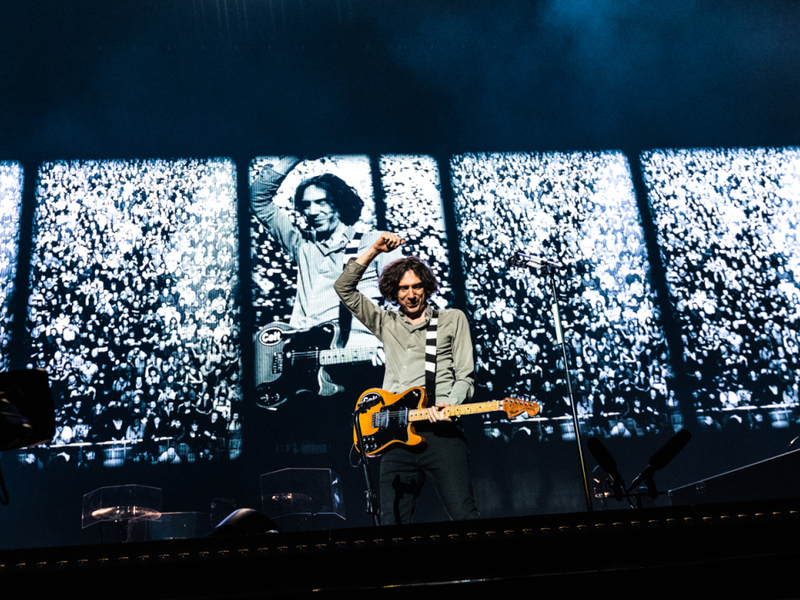 In fact, there’s an argument to be made that Snow Patrol’s relative immunity to tastemaker hype has helped them: these songs are difficult to date, less tied to the early noughties indie milieu than some of their trendier but shorter-lived contemporaries. Alongside hits like Open Your Eyes and a thunderous You’re All I Have, there’s also room for some surprisingly effective left-field choices including a touching version of Fallen Empires’ Lifening, dedicated to guitarist/keyboardist Johnny McDaid’s father, and a swirling, red-lit version of The Lightning Strike from 2008’s A Hundred Million Suns. Struggling a little with a cold, Lightbody is happy to turn over vocal duties to the crowd on Run, smiling as thousands of phones flicker along to its enormous 'Light up, light up' refrain. Pausing to describe Life On Earth, released last year, as the most difficult song he’s ever written, Lightbody occasionally seems astonished that this band and their songs have remained so in demand. While Wildness is not quite as strong as some of their previous efforts, judging by the audience reaction there's no shortage of demand for Lightbody’s ability to lay out simple truths. As a result, this tour feels like a life-affirming victory lap. Ending on Just Say Yes – a single attached to a 2009 retrospective that veers a little close to the period where Coldplay started wearing rave paint – Lightbody grins and waves to the crowd one last time. 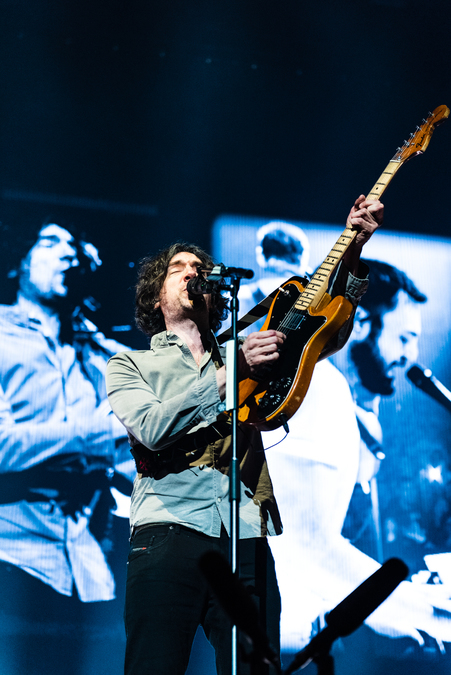 Snow Patrol are back and plotting a new path.